Yes. Yes it’s been a while. 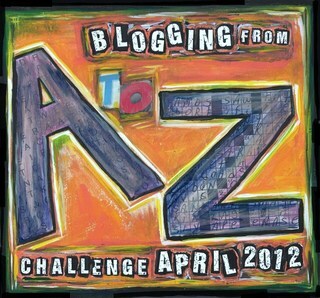 I am excited about the upcoming A to Z April Blogging Challenge. I vow not to feel pressured to write some world changing essay, but just to write. When a feast is too much, sometimes we just need a stick of gum. Not the fruity zebra stuff. It lets on far more than it delivers. 1. Joy in the Lord has increased substantially. God has been working on my heart to live for Him and to delight in His presence. 2. I’ve been gifted with a big kid job. My official title is Technical Magistrate. The magistrate was one of the highest positions of authority back in ancient Rome, and in my company it is not one of the highest positions of authority. But I have a funny boss who laughed at the title. It’s mostly an IT/Technical writing sorta thing. So I count it a blessing. 3. Been trying to read more. Scott Snyder’s Batman has convinced me that monthly series are not always a total wash. I was hooked at issue 2, page 2. Also on Orson Scott Card’s Ender series. Very, very good stuff. Curious to see if it reads well on my Kindle. We shall see!